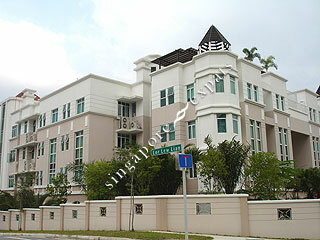 Cherry Gardens is a low density residential in the location of Serangoon town. Its land is about 3,900 sq m and is close to amenities such as the Upper Serangoon Shopping Centre and good schools including the St. Gabriel's Secondary School and Nanyang Junior College. It is also well-served by expressways and roads like the Central Expressway (CTE) and major roads such as Upper Paya Lebar Road and Upper Serangoon Road.